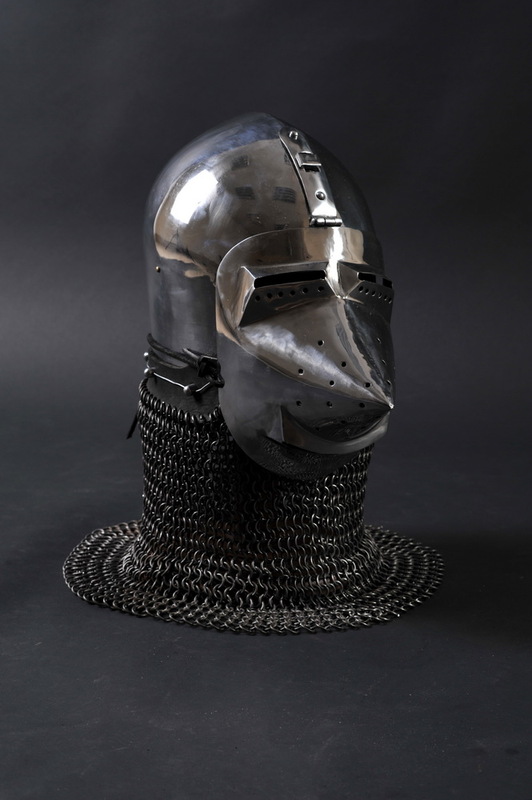 We have every reason to believe that helmet is the most important part of any set of armor. 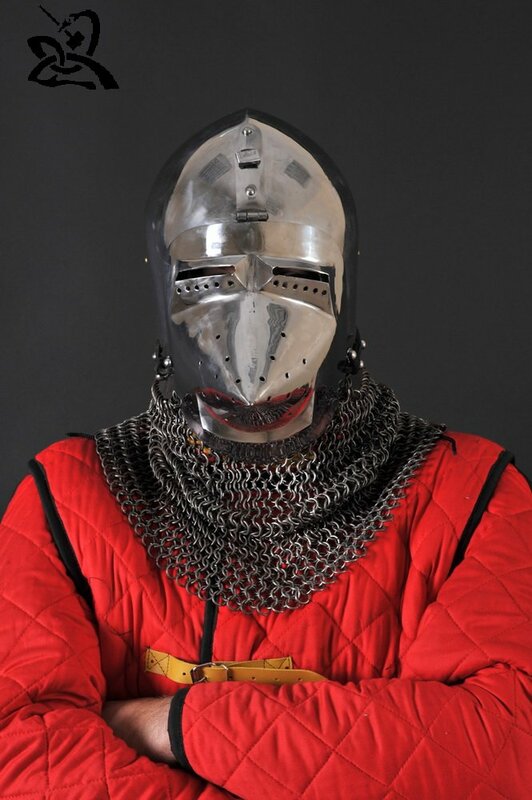 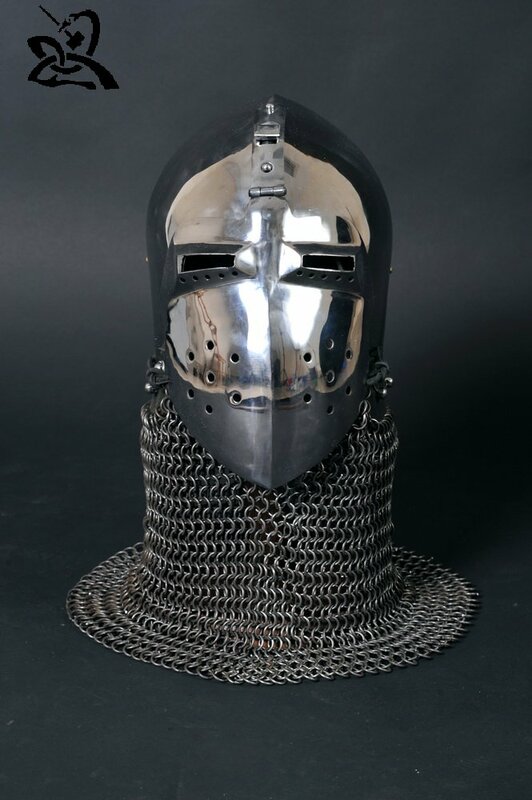 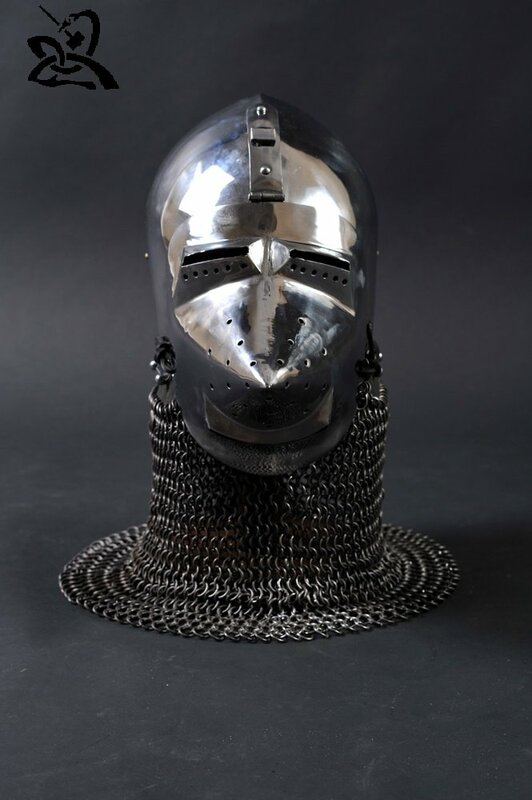 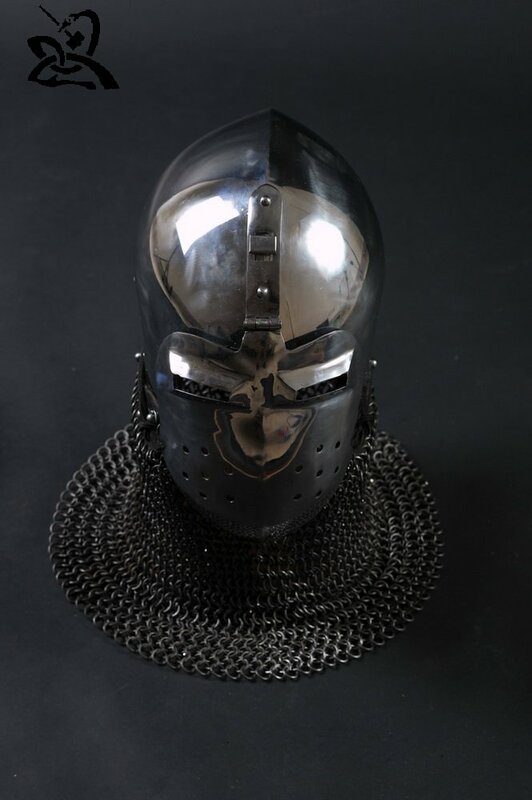 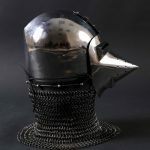 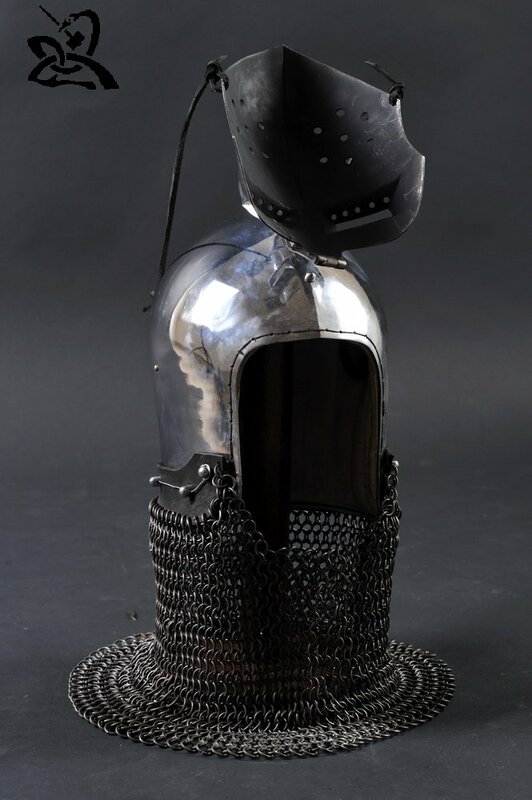 Bascinet is the most popular European medieval helmet. It has various forms of skull and types of visor. 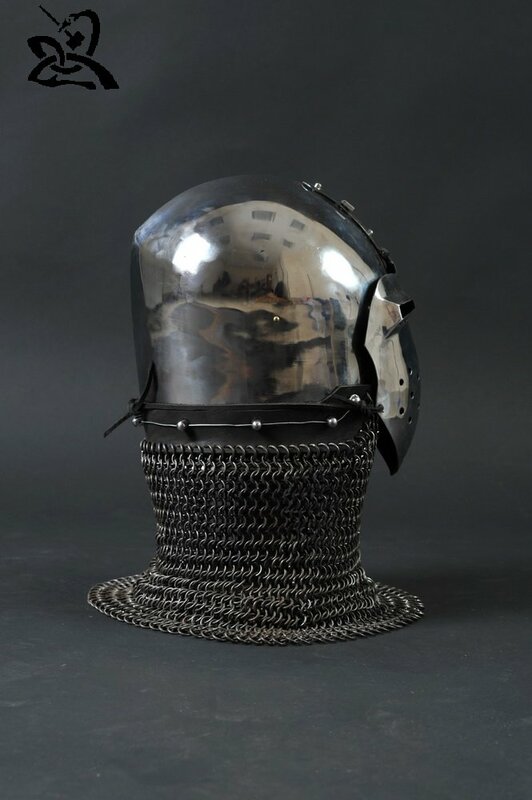 Klappvisier was developed as the result of many transformations. 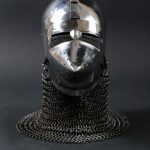 Historical sources give us a time period of the beginning of XIV century. 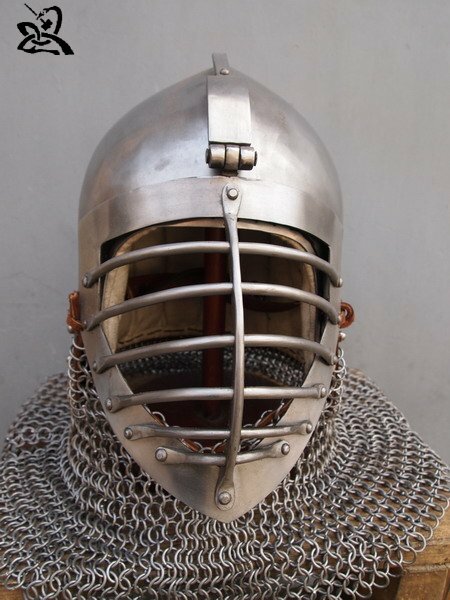 After 1400 year all Bascinets helmets were made with visor. 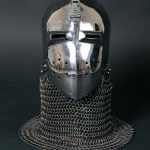 There were three types of visor connection: folding, hanging and lifting visor. 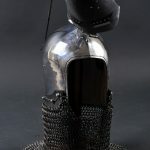 Folding connection was fixed on the forehead part of the helmet by hinge. 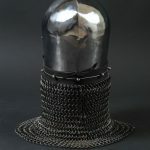 Hanging visor was fixed at the two sides by pins. 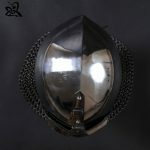 These pins could be removed and took away the visor. 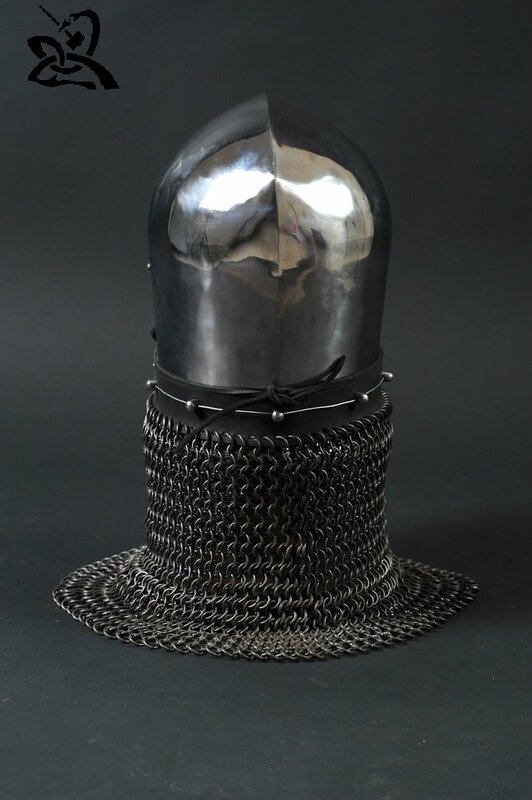 Lifting visor was made to allow a round movement. 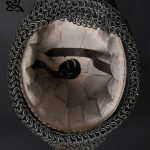 In this case associated visor was strucked at each side with an externally serrated circle enclosing a rosette. 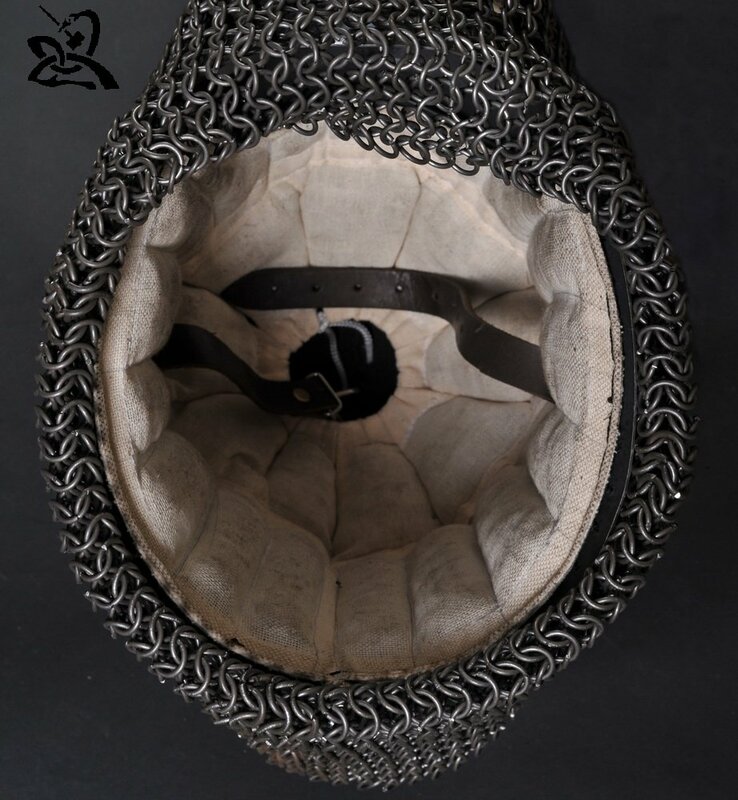 Approximately from the middle of XIV century Bascinet helmet got visor that was made to facilitate breathing. 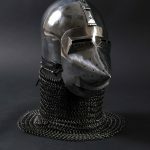 Because of its special conical shape this type of visor was called “Hundsgugel” or “Houndskull meaning the “dog face”. 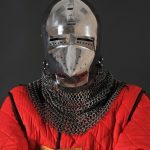 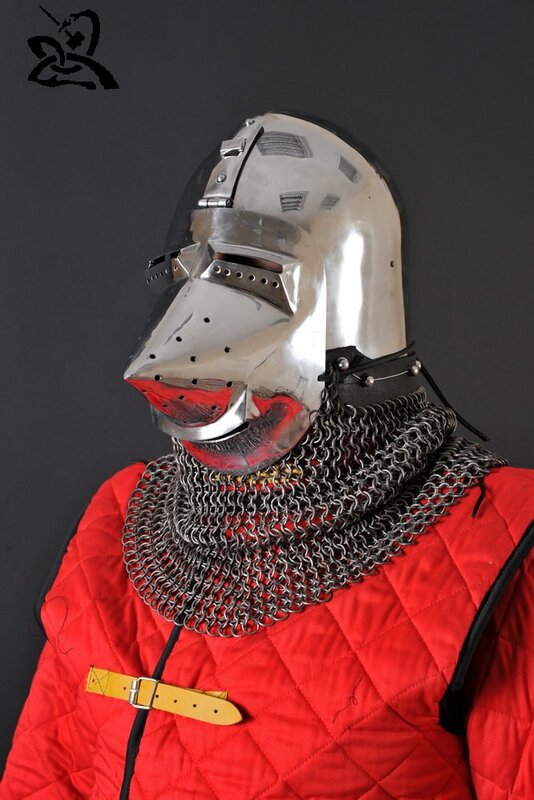 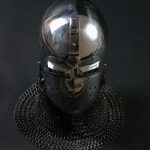 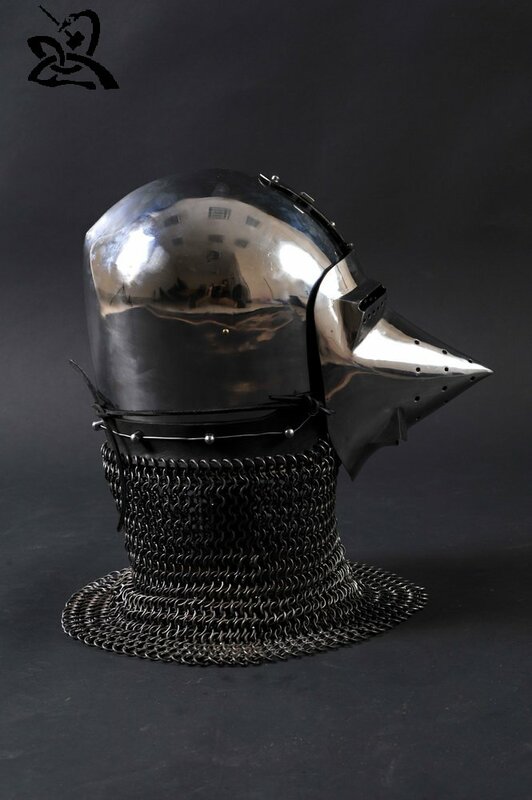 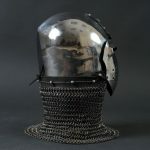 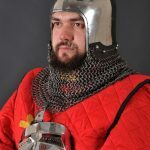 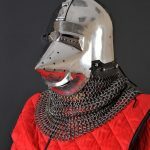 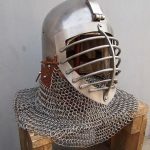 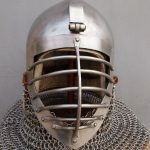 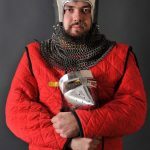 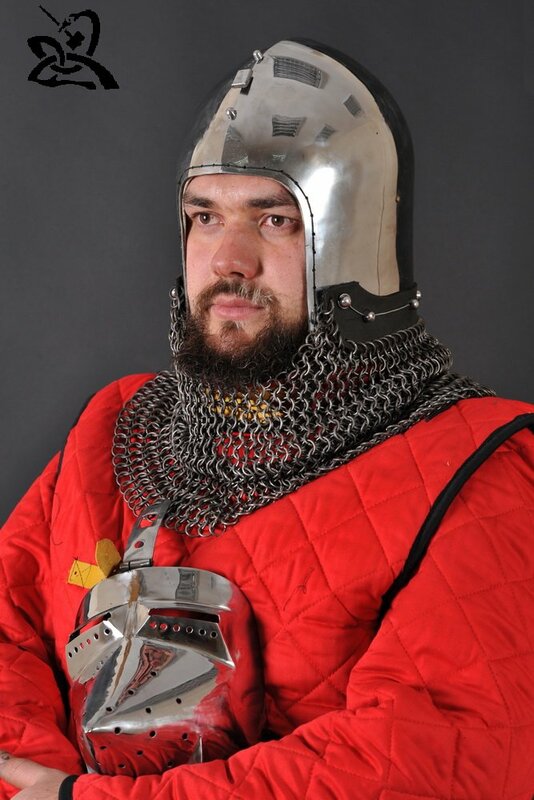 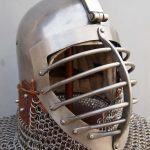 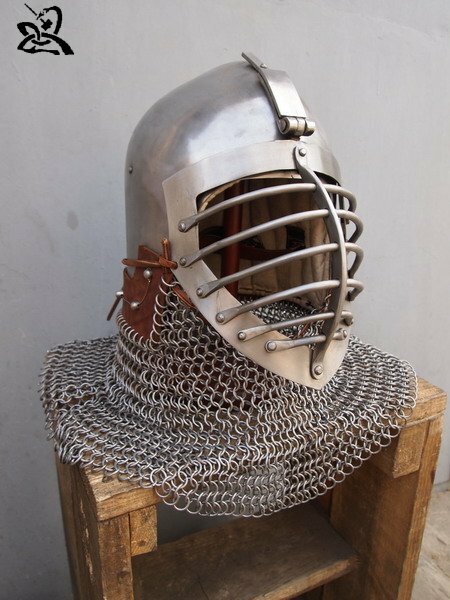 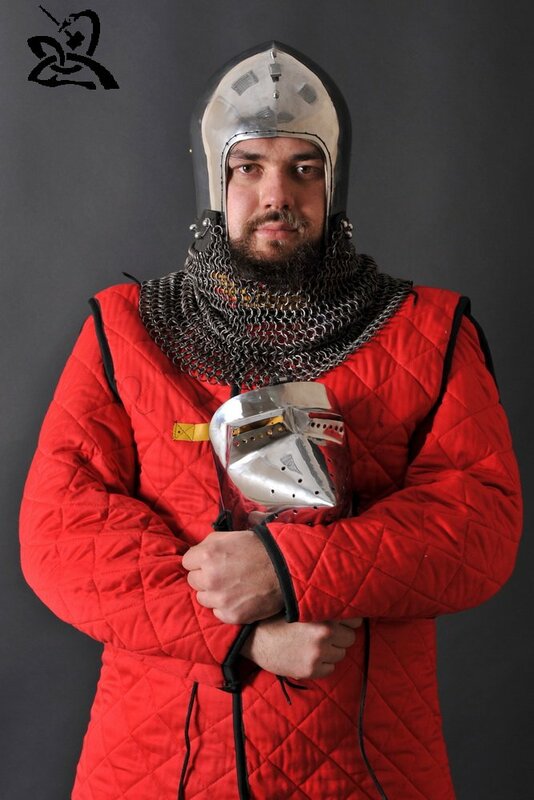 You can order Bascinet Klappviser to be done from mild steel or tempered steel. 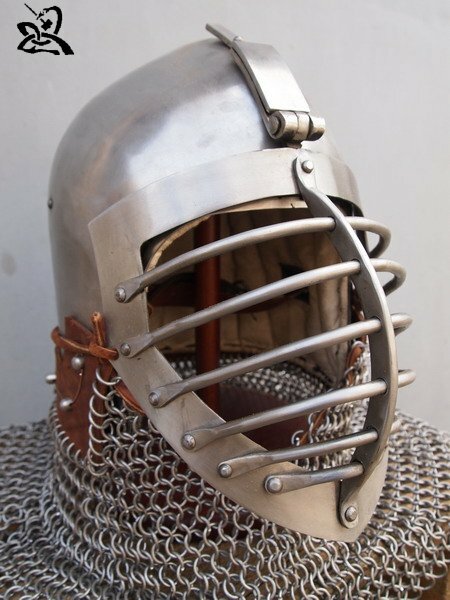 Important: Our basic polishing is matte.